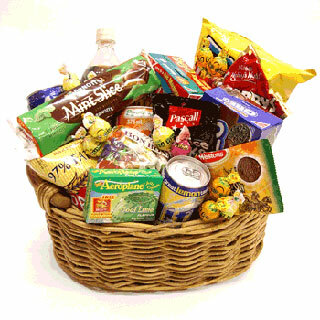 This hamper will be a hit with all ages. Filled with party snacks, it's sure to give everyone the munchies. Included are chocolates, cola, biscuits, nuts, chips and lollies.